In conjunction with the launch of the Summer Fancy Food 64th edition, the non-profit cultural association I Love Italian Food, that promotes and defends the real made in Italy agribusiness in the world, organized on June 30 the event 100per100 Italian Gala in the characteristic setting of Scavolini Soho Gallery. 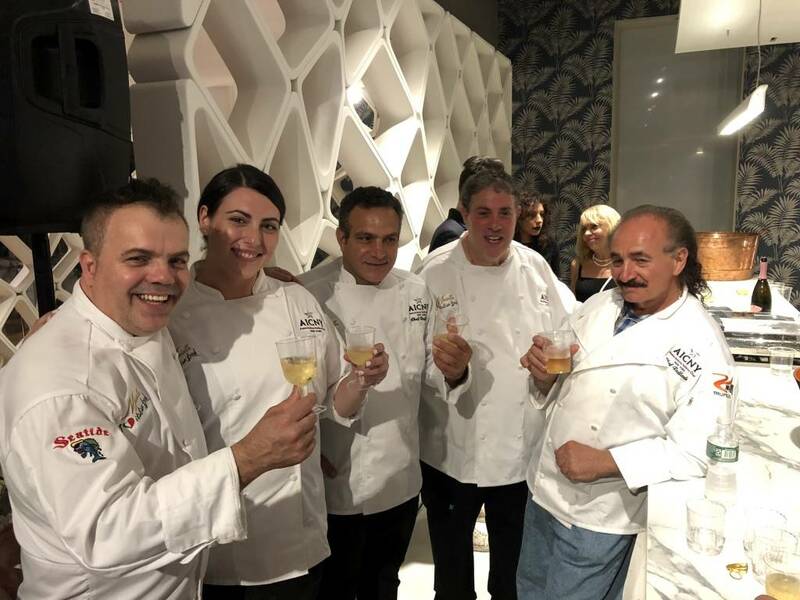 i-Italy was one of the main partners together with Scavolini, AICNY, Parmissimo, Bellavista, Consorzio dell’Aceto Balsamico di Modena IGP, Contadi Castaldi, Olitalia, Gustoso and Dissapore. 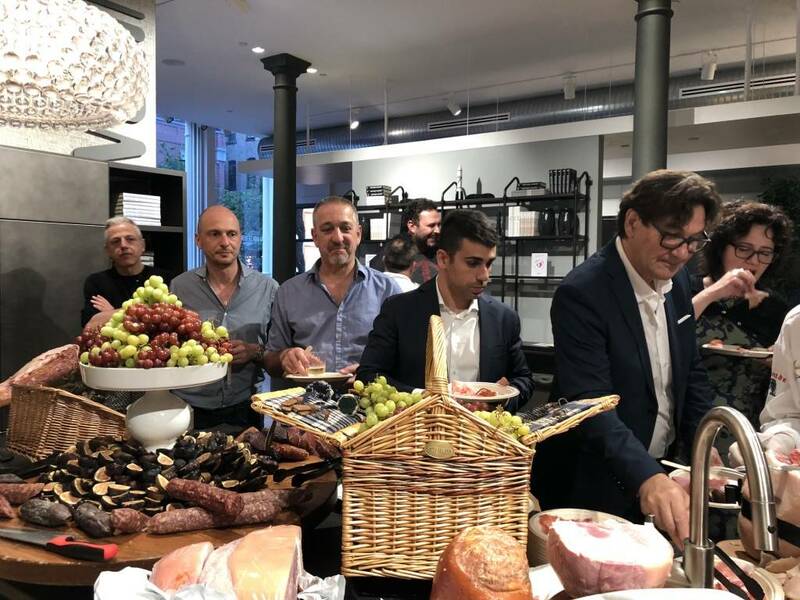 One hundred Italian professionals based in New York were selcted by the association during the last month, asking them to suggest the names of those realities belonging to food industry who distinguished themselves for promoting only authentic Italian cuisine to the American consumers. 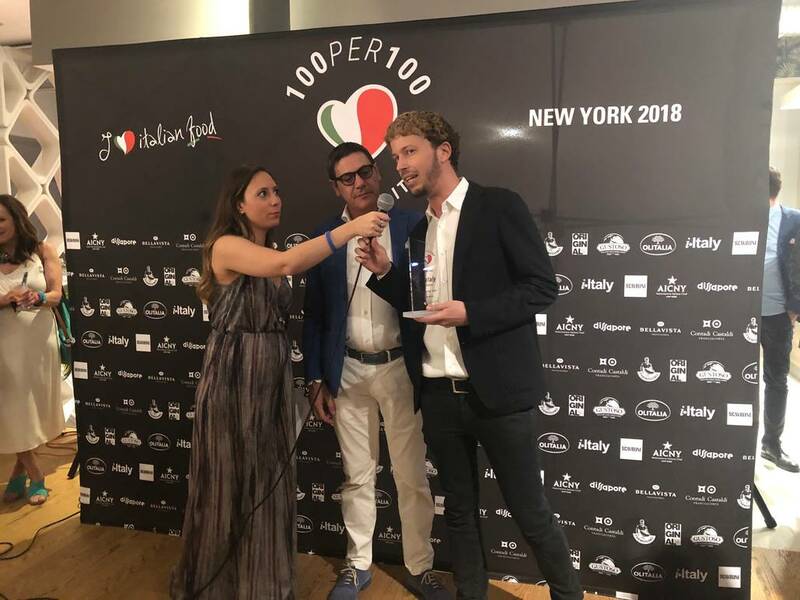 “Our mission is spreading the culture of Italian food worldwide and it’s our responsibility and pride rewarding all those professionals that work hardly everyday to spread the real Italian food in the world," said Alessandro Schiatti, President and Co-founder of I Love Italian Food, before announcing the winners of the six categories. Daniele Cipollina from Gustoso awarded Eataly Flatiron with the 100per100 Italian Espresso not only for the taste of its real Italian Espresso, but also bufor its beautiful location where to sit and relax. 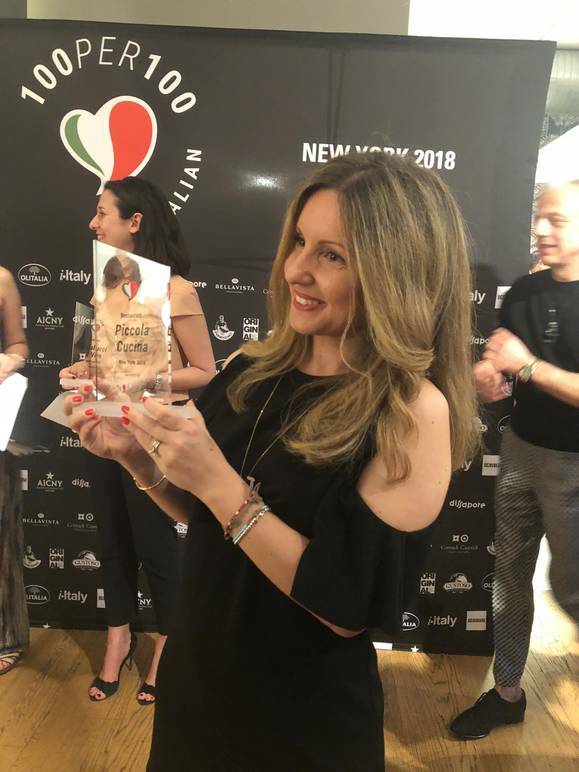 The 100per100 Italian Gelato award went to L’Arte del Gelato, given by Mariangela Grosoli, President of Aceto Balsamico di Modena IGP, who explained how much versatile the Aceto Balsamico can be, even mixed with ice-cream. 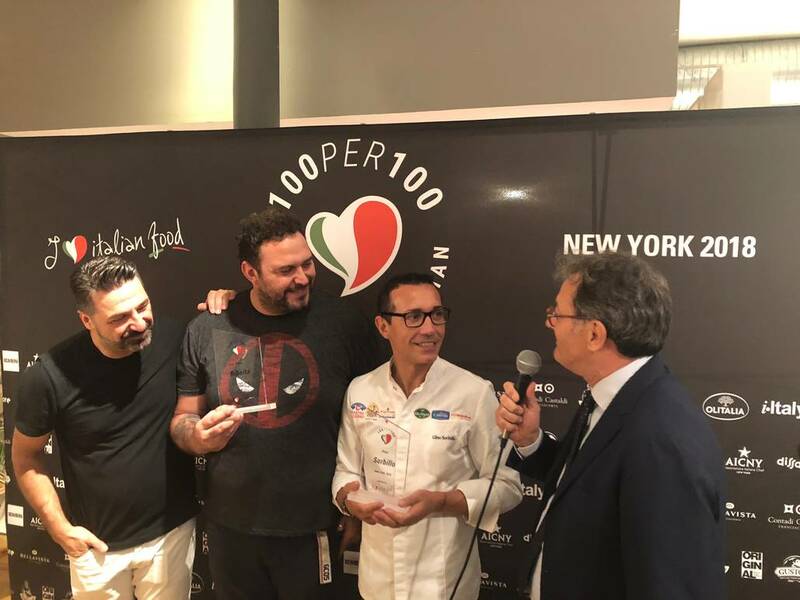 Parmissimo International Sales Director Paolo Ganzerli awarded Norma Gastronomia Siciliana with the 100per100 Italian Menu, because of its genuine food based on updated classic recipes and the importance of using only the finest ingredients. As for the recognition of ‘The real Italian pizza,' there was an ex aequo. 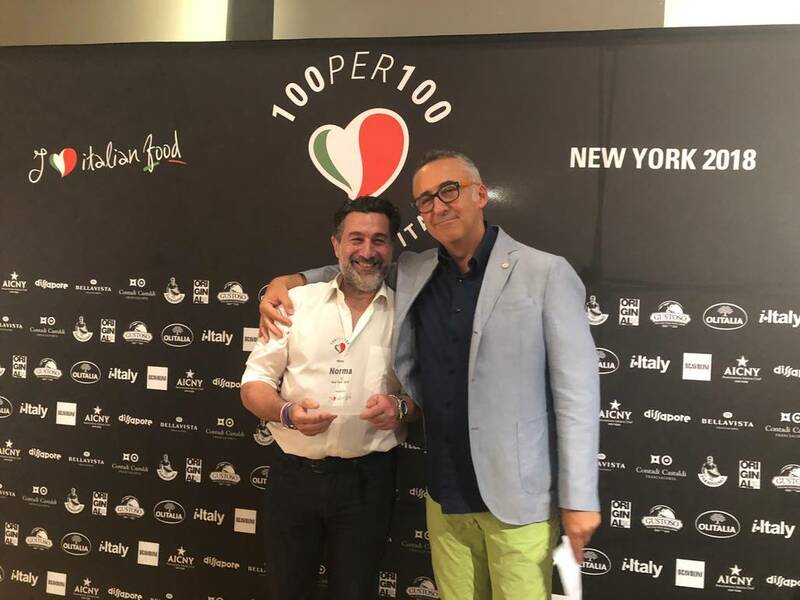 Olitalia Sales & Marketing Director, Gianni Tognoni, had the honor to award with the 100per100 Italian Pizza two symbolic pizzerias in New York: Ribalta, already a reference in the City and Sorbillo, for its famous fried pizza. 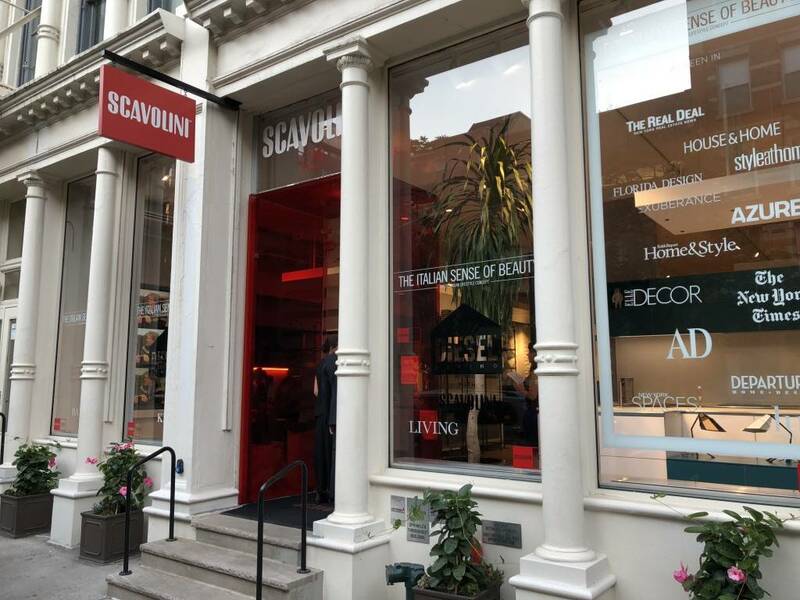 Showroom Manager e Creative Director Daniele Busca from Scavolini Soho Gallery gave the 100per100 Italian Chef to LaRina Pastificio & Vino, as the best emerging reality in the panorama of the Italian cuisine. Finally, Piccola Cucina and Tarallucci e Vino were the winners of another special ex aequo for the category of 100per100 Italian Restaurant.